Greetings and let me introduce myself. My name, Aline, which I grew up thinking was Scottish, turns out to be of German and French descent. It means Loyal. Well, that’s for sure, just ask my friends! 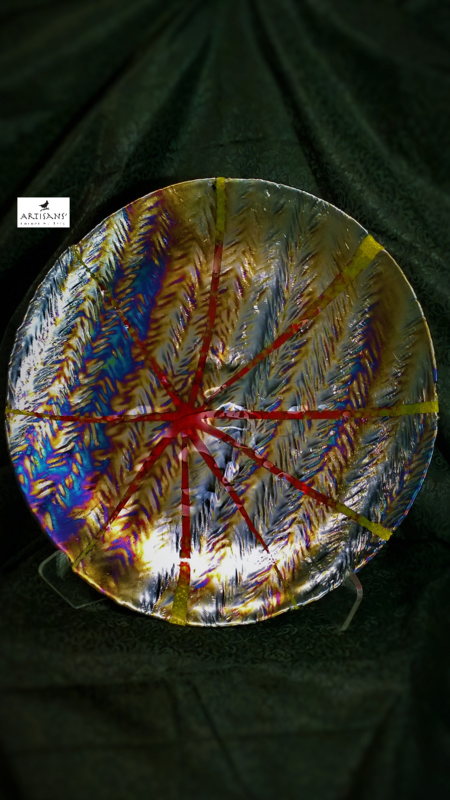 I became involved with glass as an art medium in 1983 after a rather nasty divorce. With two small children to support, I worked part-time in a Delphi Stained Glass store while going to school for Dental Assisting. I started with stained glass, quickly moving into sandblasting. In 1986 I tried this fusing stuff I had read about, and I was hooked! Mostly self-taught I have never graduated from the School of Hard Knocks, my favorite class being Trial and Error. Along with the failures have come many breakthroughs that guide my design. Taking classes with such notable teachers as Cindy Jenkins, Loren Stump and Al Janelle I have learned how to make beads in a torch (lampworking). I enjoy the sculptural aspect of beadmaking and continue to try to find new challenges within contemporary lampworking. My skills as a glass artist are ever expanding. 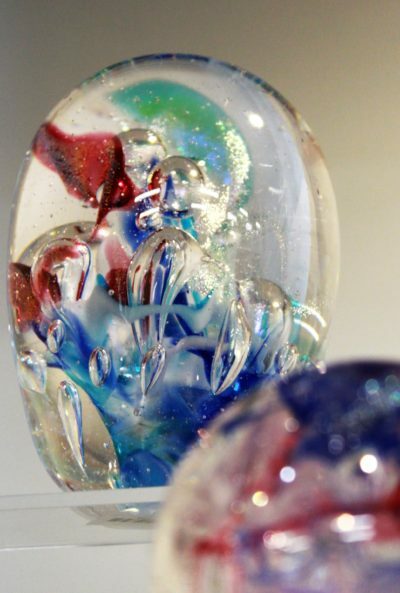 I have also learned off hand-blowing techniques using a small glory hole to make paperweights and marbles. Don McKinney, Dave Buck, and Rodi Rovner taught those classes. 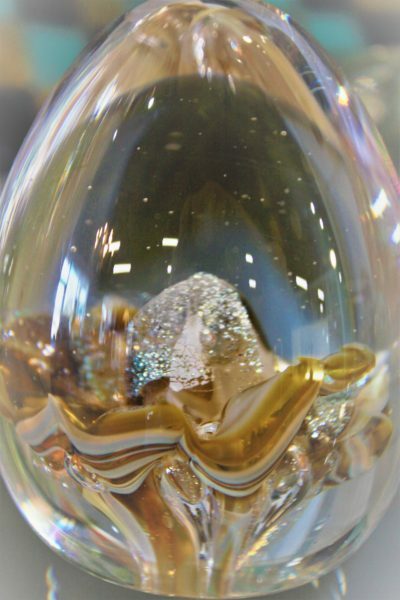 In my new work, I have been combining design elements made of different techniques. Canes made in the glory hole and then used in marbles and paperweights. 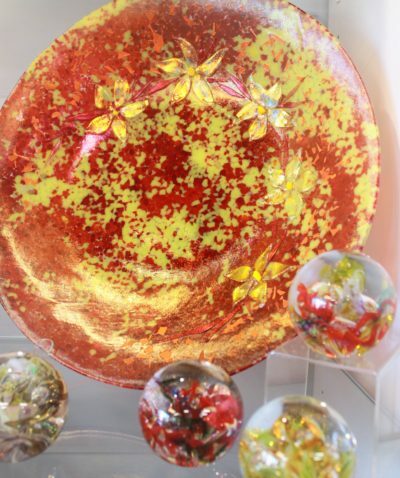 Paperweights or marbles fused into bowls or platters. 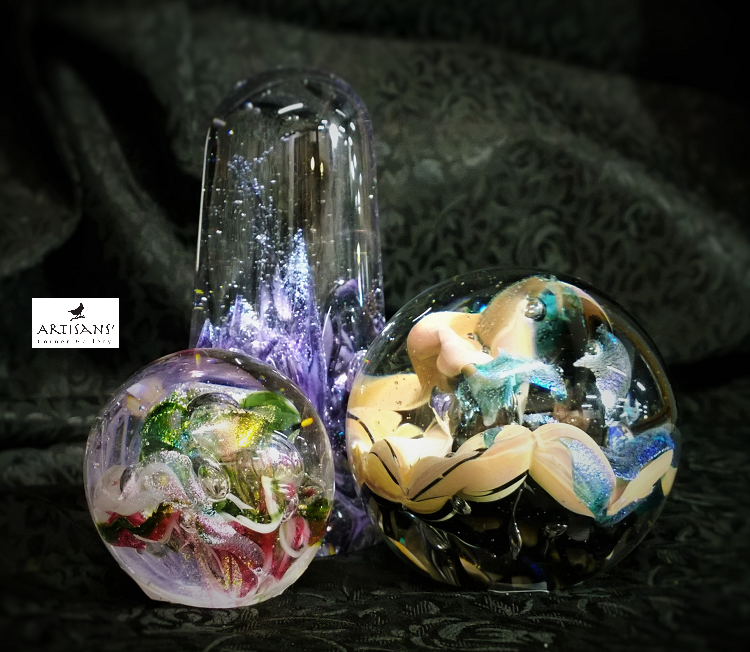 Kiln or ladle casting with lampworked inclusions. 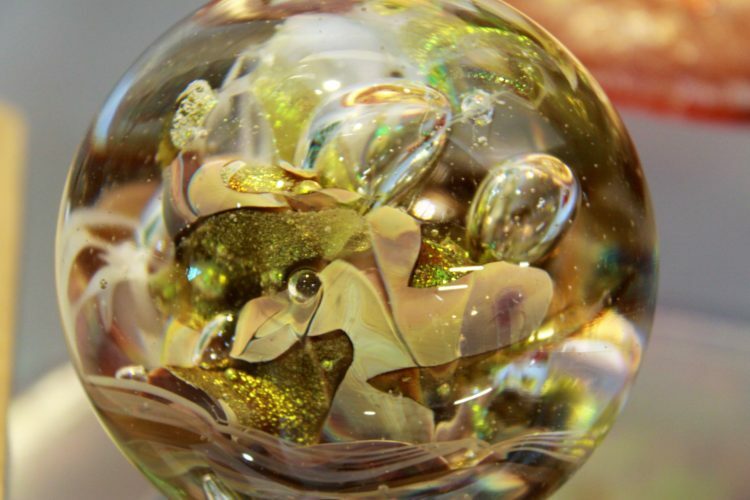 I continue to look for inspiration from glass artists and share knowledge and experience. Yes, I did graduate from Dental Assisting School and even went on to become an Expanded Functions Dental Assistant. So I fix teeth and melt glass. What could be more fun?